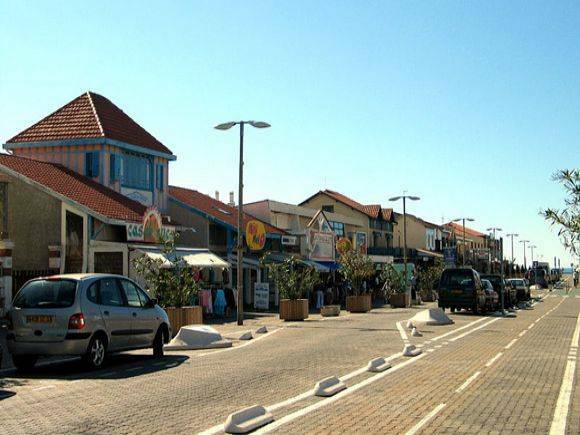 A few minutes north of Arès, Lacanau is THE fashionable seaside resort on the Atlantic coast. With its marinas bordered by impressive villas and a superb lake, Lacanau's breakers are, in fact, its major attraction. This spot is world famous among surfers, who have now taken the place of swimmers in their woollen swimsuits. With 16 km of beaches, thousands of visitors come here in summer to enjoy the biggest seaside resort in Gironde. The robust waves are ideal for other water sports as well as surfing, and here you can try your hand at windsurfing, catamaran or kite surfing! 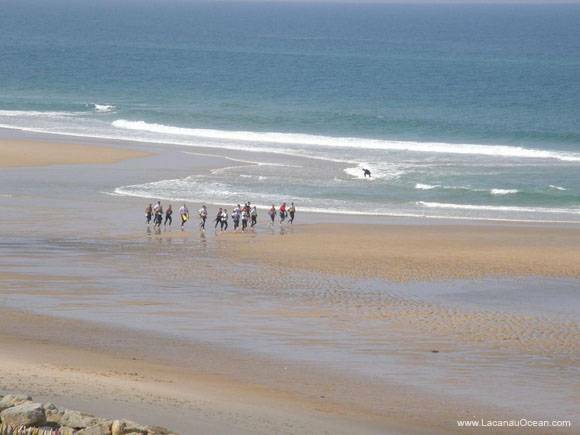 Take advantage of the relaxed and festive atmosphere, and admire the top-class surfers taming the in-coming waves. You should also take the time to visit the town and its sunny streets. The cafés and restaurants are great pretexts to take a break facing the sea. Fine natural areas can be seen all around the superb Lacanau lake, and there are signposted footpaths to take you there.